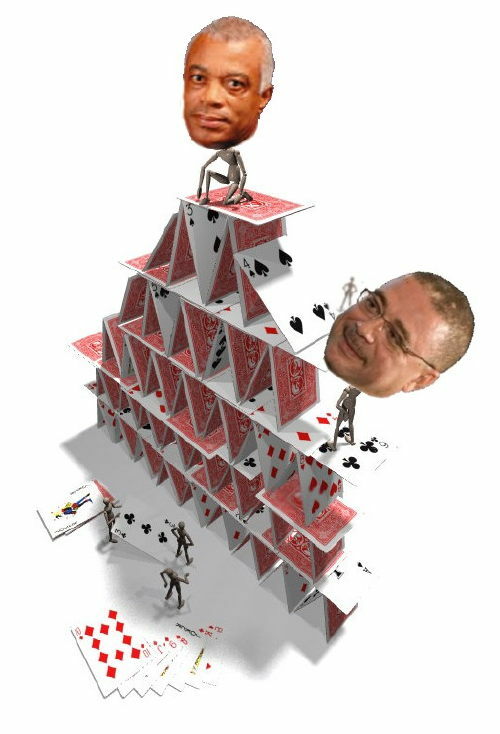 ← USA Today Picks Up On Barbados Free Press Corruption Article – Hit Meter Goes Wild! Speaking with the Barbados Advocate just after the occasion, the new Democratic Labour Party Senator said that his appointment came about after he was recommended by the Prime Minister, David Thompson and his appointment was approved by Cabinet. He replaces former Senator Derek Alleyne, who is the new Director at the Urban Development Commission. Senator Ince said that he was looking forward to engaging in debates in the Senate and making a positive contribution to the social and economical landscape of the island. He is also looking forward to strengthening those institutions, which have been the benchmark of the moral fabric that has enabled Barbados to maintain its political stability from independence to the present day. The Senator stated that he will not be concentrating on any specific area, rather he will support whatever Government was working on and do whatever he can to bring these plans to fruition. He expressed his gratitude at being appointed senator and vowed to do his best to support the Government and people of Barbados. Clerk of Parliament, Pedro Eastmond, said that Ince would most likely officially start his duties in the senate on August 12th. You are very naughty this afternoon BFP! How dare you say what everyone is thinking! I thnk you are wrong in your attack on Mr. Ince’s qualifications. If you are referring to his academic CV, I think you are very off-target. It is not about his CV. It is about his track record and the conflict of interest and political strategy of placing another CLICO alumni in a position of power. It is about corruption of the Senate with someone whose past involvement with the CLICO debacle has not been vetted. It is also about his failure to either recognize or speak out about wrong-doing by his company and other personnel. He deserves a public enquiry, not a job requiring the trust of the public. Thank you BFP for asking the questions that the Barbados papers won’t. How much more of this clico nonsense can we expect from our dear leader Thompson? You are way off mark here! Jepter is eminently qualified in the fields of insurance and finance from a prestiguous NY college. He has been active in the DLP since the mid-eighties, working hard along with Donville Inniss in the St. Philip campaigns. He has a great track record in his choosen fields both in the USA and Barbados. He parted company with Clico a long time ago, and certainly was not and cannot be considered a freind of Leroy Parris. Unlike many of his peers, Jepter has opted to lend his voice to public debate and uplifting Barbados. As a young black Bajan, I am very proud of him and know that Thompson and DLP made an excellent choice. Frankly, leaving policitcs at the door, I can’t see how you can criticise the man for advising people to invest/borrow from Clico Mortgage and Finance. CMF is a fiancially strong company. If Ince was in anyway connected with CMF, he is eminently qualified to be a national adviser on economic matters. Those who are lining up for an opportunity to buy CMF, obviously don’t share your views on the liquidity and strength of the company. Its almost like Clico and the DLP are one. Why did the Prime Minister appoint a group of his special people to oversee Clico Life instead of letting the courts decide as is normally done? I’ll answer that question: Thompson wanted to protect his Clico friends from public examination. That’s why he appointed the committee. Facts, Jepter advised people to BORROW from Clico Mortgage to INVEST in other Clico companies and funds like the failed Clico fund that made dollars into pocket change. YOU (Facts) are doing the mixing up to confuse people, but the people who borrowed money from Clico to “invest” in failed Clico companies on the advice of Mr. Ince are not confused. Thompy’s problem is that as a friend of Leroy Parris and Clico’s lawyer for many, many years he seems unable to separate his previous position from his present one. This is precisely why he should have chosen the judicial management option that Mia Mottley urged him to take. No matter what decision he makes now, good, bad or indifferent there will always be suspicion that he is either trying to help his old friend or protect his own interests. It is a demonstration of extremely poor judgement for a leader and will lead to questions of his leadership ability in other areas, not the least of which is the economy. ……. Can you blame them ? Please name the “failed Clico companies” in which people were advised to invest. Please refer to our Barbados business environment. I agree with you 100% Eagle Eye. Poor judgment on Thompson’s part but he is a good politician and he made that decision anyway. To me that says that something is wrong and he needed to protect clico more than he needed to appear unbiased. has anyone heard about what has happened to british american insurance in bermuda this week? I must admit………. that you are again wrong on this score. Mr. Ince is eminently qualified for the post of Senator. His Most Royal Highness PM David Thompson is more than eminently qualified to appoint Mr. Ince to his new position. have a look at this website for the Royal Gazette in Bermuda. It seems that only in Barbados has CLICO not suffered any losses. I guess they do not have friends in those territories as beholden to them as it appears in Bds. No one will be prosecuted or even investigated here, the DLP will ensure protection for the stalwarts. We can’t name the “failed Clico companies” because the DLP is protecting them at the expense of the taxpayers with no transparency. What a sham. This Govt has failed in just about everything they said they would do – except free bus fares, let us not forget that big one! they are lining up because they see the chance to get some assets CHEAP! Not because of the STRENGTH of that company – wake up. Whatever qualifications Mr Ince may have it is just unbelievable except in Barbados that the PM would nominate him to the Senate. With his position at CL behind him he cannot be seen to be impartial. It is too obvious that his appointment is just another layer of protection for the DLP and a little reward for a good friend. I believe that Jepter Ince has not worked for or with CMFC (a subsidiary of CLICO) for over 3 years. He worked there under the BLP regime and he was certainly not a favourite of Leroy Parris. They just could not get along. To suggest that his appointment to the Senate had anything to do with CLICO is stretching the truth to the max! Have you ever thought that the PM needed a firebrand Senator who is well versed on global financial and economic matters? We do we persist in casting negative aspersions on every successful young black man in this island. BFP, you are sickening on this one. Find other ways to attack CLICO. btw …. tell us about the 4 former BLP Cabinet Ministers that all had 6 – 7 figure investments in the same CLICO. You seem to know quite a lot about Clico. Please tell us how much in “political donations” that Leroy Parris, CL Financial, Clico and all other associated companies provided to which political parties over the last five years. Please tell us why the Prime Minister took the highly unusual (and possibly illegal) step of appointing a group of hand-picked people to take over Clico rather than having the courts do so as per law. 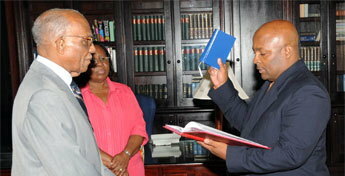 Leroy Parris appointed over the CBC to control the media and Ince appointed to the Senate. To those of us who struggle every day to make up for our Clico losses, those appointments stink. They are a constant reminder that this is not an accountable government in a functioning democracy. Thompson just does what he likes and to hell with integrity legislation, freedom of information laws or conflicts of interest rules. That is an untruth you wrote BFP. It may be a lot of things but it is NOT illegal. Let the mount gay wear off and tek a sea bath to clear yuh head. Hants makes a point, but he should make it clear. Hants, what law makes it legal for the Prime Minister to appoint the board of a public insurance company that has or is about to fail? What law provides the PM with that authority? In law? I take it that you are referring to the oversight committee. Could someone let me know who is on this oversight committee?